Ice Cream on Grand is the summer hot spot among students. It’s the destination after a fun dinner with family or if you have to drown your sorrows in ice cream with friends. Its opening in spring creates cheers from many and its closing induces the sorrows of even more. But what makes Ice Cream on Grand more special than any other ice cream destination? What makes Ice Cream on Grand particularly special is the establishment’s naturally inviting ambiance and atmosphere. Ice Cream on Grand has built a reputation for not only its delicious ice cream but for its outdoor seating arrangement. 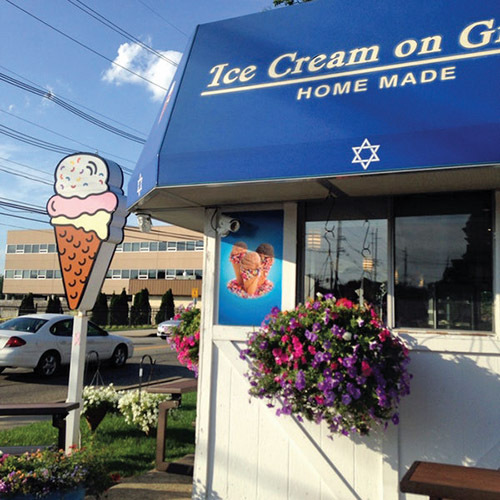 Hilary Kim (’19) said on the shop, “The establishment is very cute and I think it makes eating the ice cream more exciting.” This ambiance that ICOG has created for itself makes it stand out from many other ice cream competitors in the Bergen County area. On top of ICOG’s creamy ice cream, they also draw in many with their iconic flavor: Cookie Monster. Cookie Monster is ICOG’s famous flavor. Cookie Monster consists of vanilla ice cream, dyed blue, Oreo bits, and cookie dough. When student Camille Lederer (’19) goes to get her ice cream, she “always gets Cookie Monster and Nutella,” saying it’s “the best.” And if Cookie Monster isn’t your thing, Ice Cream on Grand offers a wide variety of flavors like charcoal ice cream, cookies and cream, matcha, cake batter, and many more. Ice Cream on Grand will only stay open for a limited time, so be sure to get a cone before they’re gone for the season.